Biodiesel kits made from home give you a significant savings over ready-made kits at the store or online as switching from traditional fuels to biodiesel can save you 50% or more on your fuel bill. However, for someone who is preparing for a time when fuel deliveries might stop, being able to produce your own fuel may mean the difference between thriving or just surviving. Biodiesel is a renewable fuel that is used for diesel engines. You can make it from agricultural co-products and byproducts like soybean oil, greases, and other natural oils. 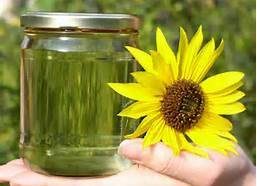 Biodiesel is created through a chemical process called transesterification. During this process the glycerin is separated from the vegetable or fat oil and leaves behind two products. Methyl esters and glycerin. Glycerin can also be used in the making of soaps. Biodiesel processors can be very expensive, quite often anywhere from $4,000 to $10,000, but there are smaller personal biodiesel kits that can process around 50 gallons at a time for about $1,800. How fast you recoup your costs just depends on how much of the fuel you use a day. There are any number of biodiesel processors and kits available for personal or business needs. Here are some of the top biodiesel kits. Mega Ester Biodiesel Processor: This small version processor will process up to 40 gallons in 14-18 hours and comes with a 15 gallon tank for methoxide mixing. This comes with a 120V heater with a 45 minute heat time to get up to 135 degrees. Mega Ester II Biodiesel Processor: In 14 to 18 hours this biodiesel processor can produce up to 80 gallons of biodiesel fuel. It has a built in 220 volt heating and drying system and comes with a 21 port drying system that does in 3 hours what others take up to 12 hours to dry. Has a 17 gallon methoxide mixing tank. Farm Boss Biodiesel Processor: This is a 230 gallon processor with the following features; 230 gallon capacity per 14 to 18 hours with maximum of 460 gallons per day, 60 gallon methoxide mixing tank, and an industrial metal stand for easy storage and relocation. Also comes with a high corrosive spark proof 120V pump. Energy requirements are a single phase 4 wire 230 volt, 50 amp. Evo Kleen 1000 Dry Wash: This is a simple indestructible dry wash unit compatible with any biodiesel system. Uses an Echo2Pure media filter that removes soaps, catalyst, methanol and residual contaminants from biodiesel production and can purify up to 180 gallons at a time. Engines last longer: Traditional diesel engines have a very high rate of engine wear. Even at low levels biodiesel fuels have a much higher lubricity level which helps engines last longer. Biodiesel also has a higher cetane ignition rating which equates to less engine noise and noise pollution. Clean and affordable: Biofuel refineries are simpler and environmentally friendly. As international fuel prices continue to rise, this fuel option becomes more important in the transportation and farming industries. Perform just as well as regular diesel fuels: The DOE performed tests in 1998 and found biodiesel fuels increase fuel economy and have the same torque and hose power as other engine fuels. Traditional fuels are never going to go down in the long term. Sure there are near term fluctuations but over time as resources are depleted prices can do nothing but go up. With every increase in price the more savings are obtained from biodiesel fuels. For under $2,000 you can get a biodiesel kit and get up to a 50 percent saving over other fuels. That’s a significant saving, which will only increase over time. In a time of long-term survival, it could make the difference in whether you are plowing your field with a horse or in your daddy’s ol’ diesel tractor.